When it comes to healthy digestion, your body produces a number of enzymes that help break down the foods you eat. Especially large meals or diets that contain a high number of carbs or large amounts of fats or protein may be harder to properly digest. 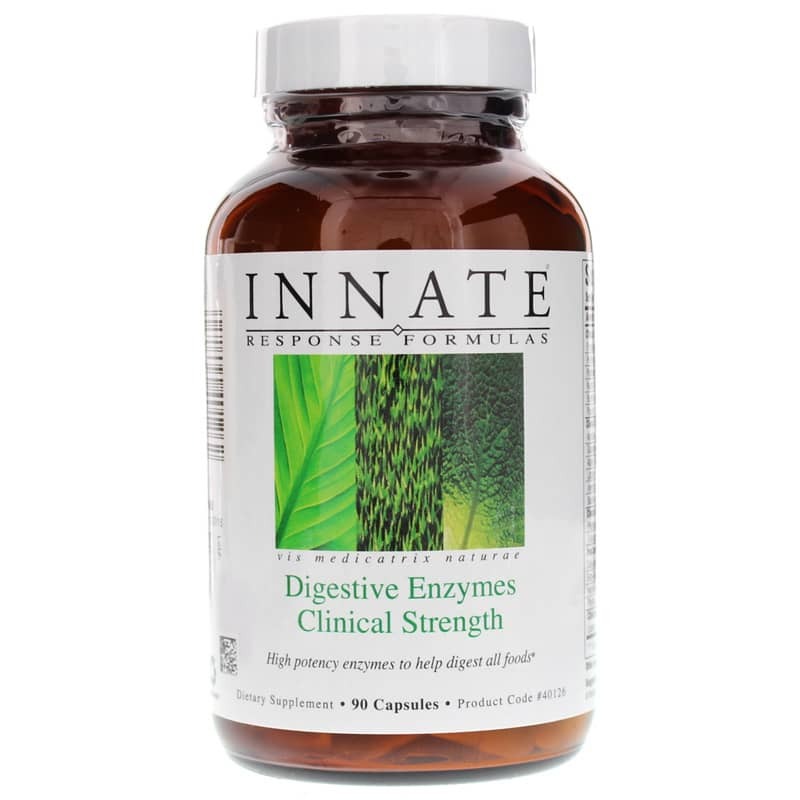 Innate Response Formulas offers a product called Digestive Enzymes Clinical Strength, a dietary supplement that delivers a broad spectrum of enzymes that support optimal overall digestive health and function. 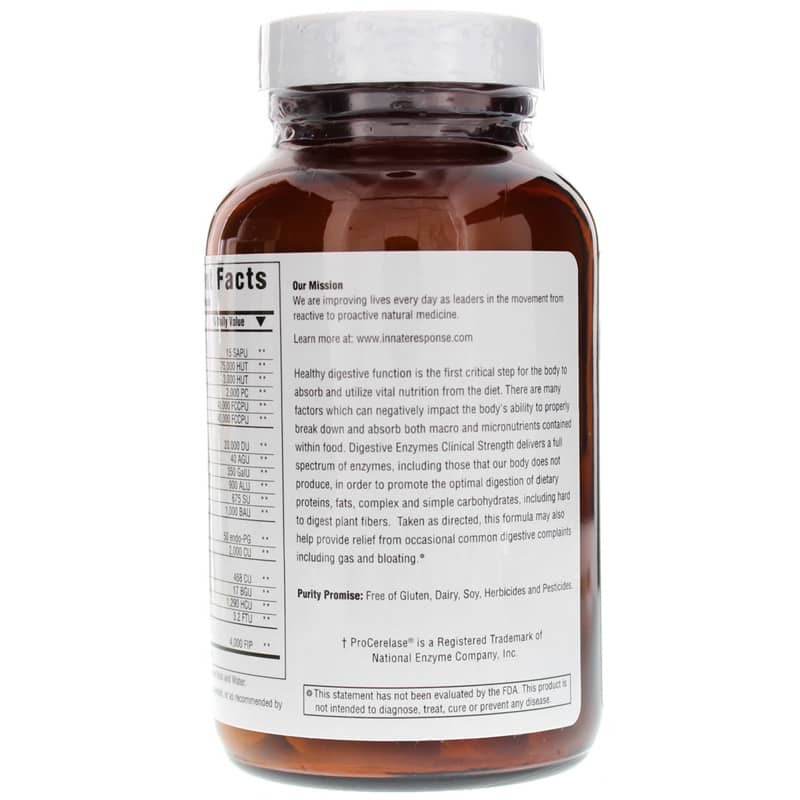 This product is always made to be free of gluten, dairy, soy, herbicides, and pesticides. It comes in a capsule form that is easy for adults of all ages to swallow, and should be taken with meals for optimal digestive support. 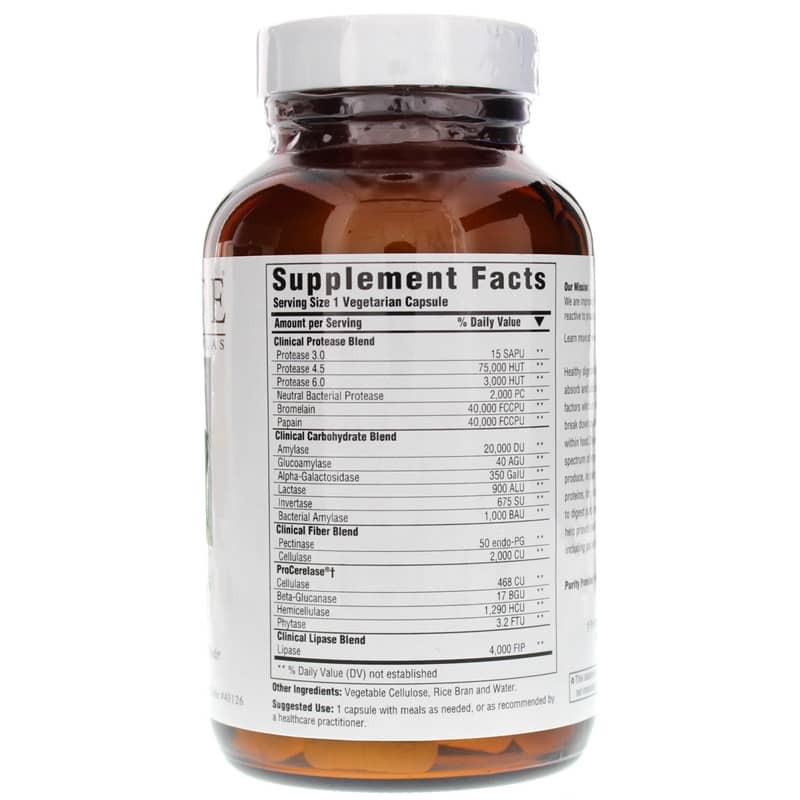 Adults: 1 capsule with meals as needed, or as recommended by a healthcare professional. Great product, keeps bloating away.